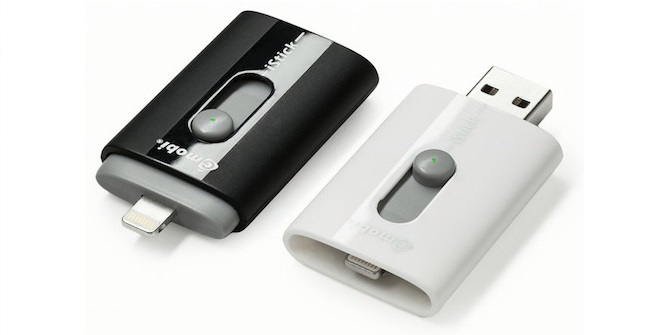 We’ve seen a lot of new companies that sell iPhone and iPad flash drives since the first USB thumb drives with Lightning connectors were launched last year. You can connect a flash drive directly to your iPhone or iPad to avoid running out of space on your device and store your photos, video and other media on the external thumb drive. You have to consider some things before purchasing a Lightning drive, however. Some flash drive designs are better than others and will let you use your iDevice without getting in the way too much, some require you to charge a battery inside them and some have companion apps for streaming and managing the content on your iPhone or iPad that is easy to use and well designed, while others offer poorly designed apps. Also, the cost of these thumb drives varies depending on the features offered. So without further ado, here are the best iPhone and iPad flash drives with Lightning connectors. The device is still a project on Indiegogo and if other devices on the list don’t satisfy your needs, iKlips wants to be a serious competitor for other flash drives by building its thumb drive with a USB 3.0 connector that will allow transfer speeds of 140MB/s for reading and 20MB/s for writing. Other drives on our list only come with a USB 2.0 connector besides the Lightning one. The prices written above are 30 percent less than the final one and are only available for preorders. The Hyper iStick was the first flash drive with a Lightning connector to come on the market after it raised more than $1 million last year on Kickstarter. It’s a very pricey thumb drive but it has a better design than most and it isn’t as intrusive as the SanDisk one. Depending on which connector you use, USB or Lightning, the other one retracts automatically inside the body of the drive. However, the app isn’t all that well designed and the price will probably force you to consider other drives such as our favorite, the Leef iBridge. The companion app for the SanDisk drive is one of the best we’ve seen and the prices for the thumb drives are some of the best. However, the flash drive from SanDisk requires you to charge its battery and its design is a little awkward as when you attach it to your iPhone or iPad it will be very uncomfortable to hold. The Leef iBridge is our favorite thumb drive on the list in terms of design because it will stay out of your way if you want to use your device when it’s connected to the drive. A similar design was attempted by SanDisk but iBridge used it best. The great companion app, the 256GB model, its pricing and design makes the Leef iBridge our favorite flash drive with Lightning connector on the list. – Requires a micro SD card to work. The advantage of this flash drive is that it can be used with cheap micro SD cards. So there you have it. 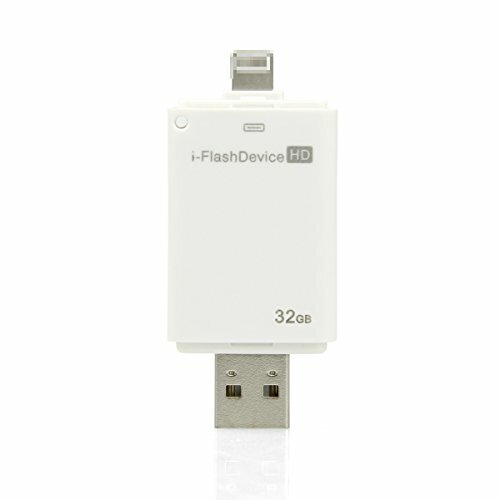 This was our brief overview over the best iPhone and iPad flash drives with Lightning connectors.